Everyone in blog-ville must know about Shannon's bloggy giveaway par-tay, go on over to her place to see the Mr. Linkey and have fun visiting all the other giveaways! But, come back- y'all...and check out what I am giving away. 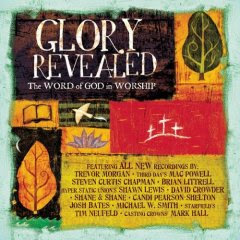 I have 2 giveaways going, the first is for the CD- "Glory revealed". It can best be described as scripture set to music in an 'americana' style, featuring various artists. I am giving away 1 brand-new, unopened cd. International friends are invited to enter this one. Giveaway #2 is for a 1-year subscription to Homeschooling Today magazine. I know the interest in this prize will be a little narrower than the cd..so just let me know in the comments if you are interested in giveaway #1, #2 or put *both if you want to enter for both. *Sorry, but I have to limit the subscription prize to United States addresses only. Enter in the comments section, you don't have to be a blogger, but leave me a way to contact you..or check back to see if you won and contact me! I will post the winners Saturday or Sunday.